The driver, who suffered minor injuries, was cited for careless driving, FHP troopers said. 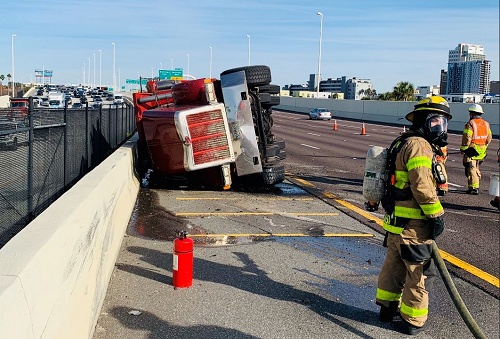 HILLSBOROUGH COUNTY – A dump truck driver suffered minor injuries when the vehicle overturned after he lost control, the Florida Highway Patrol said. Jesus Valdes, 63, of St. Petersburg, suffered minor injuries in the crash. He was cited for careless driving and not wearing a seat belt. The crash happened about 3 p.m. Friday (Jan. 25) on I-275 at about Mile Marker 44 in Hillsborough County. Troopers said he was driving a 1991 dump truck north on I-275. He failed to stop for other traffic and took evasive action to avoid a crash. 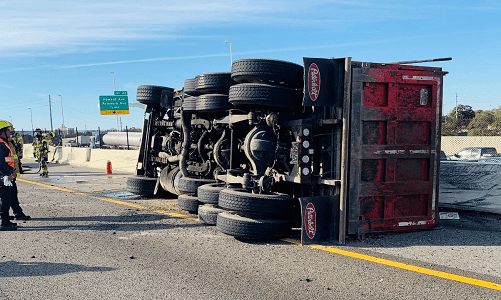 He lost control of the dump truck, which rotated to the inside shoulder, overturned and hit the median barrier wall before coming to a final rest. The crash caused extensive damage to the roadway, troopers said. Repairs had to be made before the roadway was reopened.